This Jigsaw Puzzles is for keen observers. This Jigsaw Puzzle will test your visual skills. 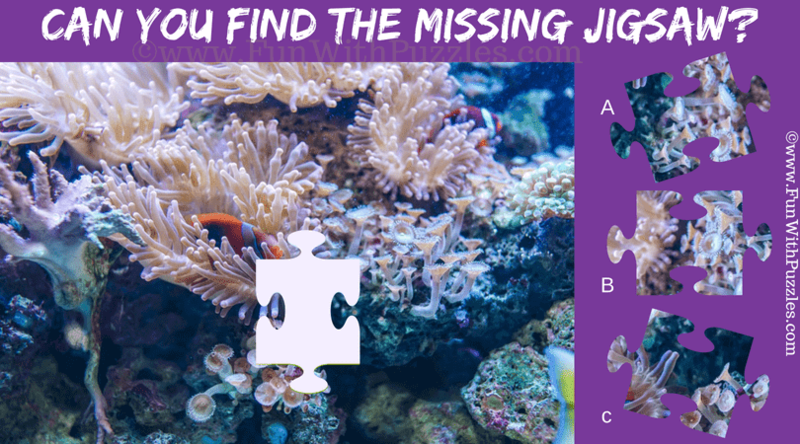 In this Jigsaw Puzzle, there is one Jigsaw Piece is taken from beautiful deep reef picture. Can you find this Missing Jigsaw Piece among the given three jigsaw pieces? Can you solve this Missing Piece Jigsaw Puzzle? Answer of this "Deep Reef Jigsaw Puzzle for Adults", can be viewed by clicking on button. Please do give your best try before looking at the answer.